Nonlinearities, uncertainty, complexity, and time variations are playing an increasing role in a wide spectrum of problem in new technologies such as robotics, manufacturing, space technology, and medical instrumentation, as well as in older technologies such as process control and aircraft control. New methodologies are needed to cope with them effectively. It is well known that stability, speed, accuracy, and robustness are the four desirable characteristics in any efficient control system. His research focused on stability theory in the 1960s and on adaptive control and stochastic learning automata in the 1970s and 1980s. In 1988 he became interested in artificial neural networks, and since that time have been investigating how such networks can be used to identify and control nonlinear dynamical systems with uncertainty. iii) modeling and control of decentralized autonomous agents. Work is currently in progress in my group in all the above three areas. Identification and control of a nonlinear discrete-time system based on its linearization: a unified framework, Lingji Chen , Kumpati S Narendra, 2004, IEEE Trans. on Neural Networks, 15(3), 663-673. On common quadratic Lyapunov functions for pairs of stable LTI systems whose system matrices are in companion form , R.N. Shorten , Kumpati S Narendra, 2003, IEEE Transactions on Automatic Control, 48(4), 618-621. Exact output tracking in decentralized adaptive control systems , Kumpati S Narendra, N.O. Oleng, 2002, IEEE Transactions on Automatic Control, 47(2), 390-395. Stochastic adaptive control using multiple models for improved performance in the presence of random disturbances , Kumpati S Narendra, O.A. Driollet, 2001, International Journal of Adaptive Control and Signal Processing, 15(3), 297-317. Kumpati S. Narendra is the Harold W. Cheel Professor of Electrical Engineering and the Director of the Center for Systems Science at Yale University. 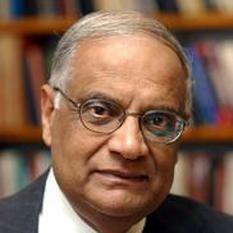 Professor Narendra came to the United States from India in 1954, after receiving the B.E. (Hons) degree from the University of Madras. He received his S.M. and Ph.D. degrees in Applied Physics from Harvard University in 1955 and 1959 respectively, and was then an Assistant Professor at Harvard. In 1965, he came to Yale University and was made a full professor in 1968. Professor Narendra was the Chairman of the Electrical Engineering Department from 1984 to 1987, Director of the Neuro-Engineering and Neuro- Science Center at Yale from 1995 to 1996 and he has served as the Director of the Center for Systems Science since its creation in 1981. He received an honorary Doctor of Science degree from his alma mater, the University of Madras (now Anna University) in 1995, and one from the National University of Ireland (Maynooth) in 2007. Professor Narendra has lectured at over 40 universities around the world, has delivered over fifty plenary and invited lectures, and has been a consultant to over 15 corporations, including Sikorsky Aircraft (1967-73), AT&T (1975-1980), General Motors (1984-1985), and Sandia National Laboratories (1996-1999). He was a Distinguished Visiting Scientist at the Jet Propulsion Laboratories in 1994-1995. Professor Narendra has had 47 doctoral students, and over 40 post-doctoral and visiting fellows have worked with him over a 50-year period. He is the author of more than 250 technical articles, three books, and the editor of four books in the areas of stability, adaptive control, and learning automata. He has served on various international technical committees, several editorial boards of technical journals, and has been on the advisory committees of academic institutions in India, Ireland, Korea and Singapore. Professor Narendra is the recipient of numerous awards including the Franklin V. Taylor Memorial Award (IEEE SMC Society, 1972), the George Axelby Best Paper Award (IEEE Control Systems Society, 1988), The John R. Ragazzini Education Award (ACC, 1994), The Outstanding Paper Award of the Neural Networks Council (1991), The Neural Network Leadership Award (1994), The Bode Prize/Lecture (IEEE Control Systems Society, 1995), The Richard E. Bellman Control Heritage Award of the American Control Council (ACC) for Pioneering Contributions to Adaptive Control and Learning Theory (2003), the Walton Visitor Award of the Science Foundation of Ireland (2007), and the Neural Network Pioneer Award/Medal of the IEEE Computational Intelligence Society (2008). Professor Narendra is a member of Sigma Xi and the Connecticut Academy of Science and Engineering, a Fellow of IEE (U.K.) and the American Association for the Advancement of Science (AAAS), and a Life Fellow of the IEEE.